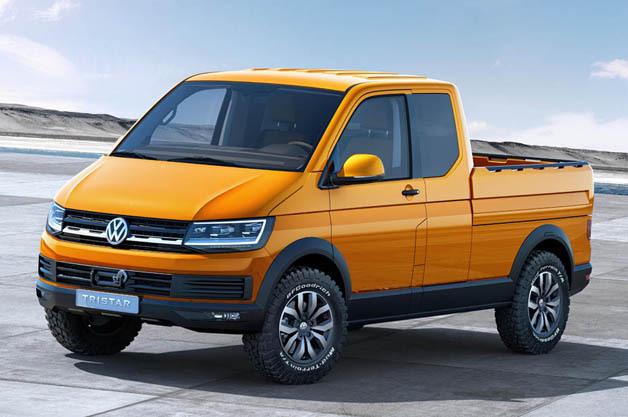 If a Ford F-150 ever mated with a Kia Soul their boxy offspring might look like this Tristar pickup truck concept from Volkswagen, which was recently unveiled at the International Commercial Vehicle show in Hannover, Germany. If it looks like a van that is missing 25 percent of its body, that’s because it essentially is. The Tristar is based on Volkswagen’s T-series vans, and has a small pickup bed (which is split into two parts) sitting behind its extended, short-nosed cab. 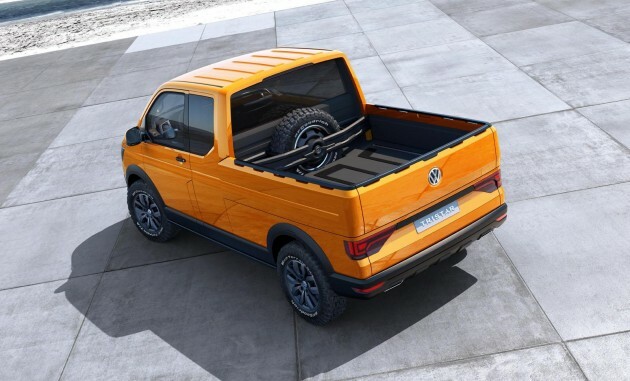 The truck is powered by a 2.0-liter TDI inline four-cylinder engine which provides 200 horsepower and 332 pound-feet of torque. That’s filtered to all four wheels through a seven-speed dual-clutch gearbox, and gives the Tristar a 0 to 60 time of ten seconds flat. 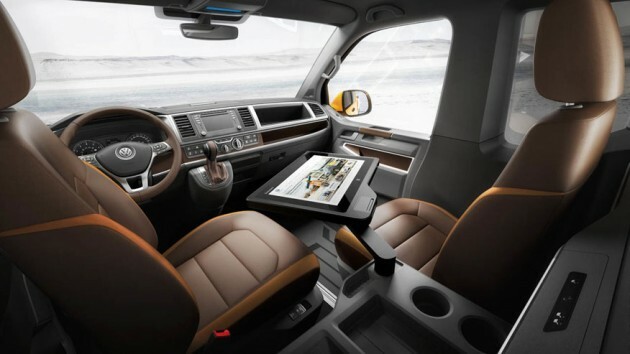 The interior, though, is where the Tristar really distinguishes itself from other pickups, thanks to a 20-inch tablet table, video conferencing and – no joke – an onboard espresso machine.